Whether you are new to AWS, or an experienced user, the event will give you the inspiration and technical knowledge you need to get even more from our platform. The free event will be packed with the latest announcements, great customer stories and breakout sessions for users with different levels of technical proficiency. Come learn from worldwide AWS solutions architects and expert customers who will cover hot topics like Artificial Intelligence (AI)/Machine Learning (ML), Migration, Security, Analytics, Media and FSI. This free event features global keynote announcements, networking, multiple breakout sessions on the latest cloud technology solutions, access to AWS experts, hands-on learning, and an even bigger solution expo. Content on May 15, focuses on eight key themes and provides an overview of AWS Services. The event will showcase best practices and demos designed to meet the needs of attendees whether you are new or have intermediate knowledge of the topics (level 100 – 300). You have an opportunity to attend the keynote sessions and 50 + breakout sessions led by AWS Solutions Architects and Customers. High-energy exhibition showcasing key AWS technology and consulting partners, as well as access to AWS experts. Visit the Builders fair, ISV Village, Start-up Central, Tech Talks, Lightning Talks, Hand on Labs, AWS Zone, and Certification Lounge, to learn more about innovation, solutions, partners and training. Conor McNamara leads the Asia Pacific Business Development function for Amazon Web Services, Conor also provides strategic oversight for our AWS business in India with all India Commercial Field Operations reporting into Conor. Conor’s charter is to incubate new AWS services in the Asia Pacific Region. His team takes input from customers across all customer segments, industry verticals, and APAC countries, to develop and deploy programs that increase the pace of adoption and shorten the time to value for customers across the region. Conor and his team also champion the evolving needs of APAC customers, and help ensure that these are represented on the AWS roadmap, of which up to 95% reflects AWS customer requests globally. 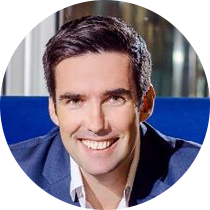 Conor joined AWS in 2014 as Cloud Economics and Enterprise Business Development Manager in Australia and New Zealand. In that role, he led high-profile programs to raise industry awareness of the important planning, milestones, and metrics involved in a successful cloud migration, working with customers such as NAB, Origin Energy, and Seven Group. In 2016, he was promoted to his current role, and moved to Singapore to build an APAC-wide team. In addition to significantly growing the size and scope of his team over the past years, Conor continues to act as an Executive Sponsor on a number of AWS’ largest customers, and is an in-demand speaker on the fast-evolving concepts of cloud economics and enterprise strategy, as more and more regional and global businesses migrate to the cloud. Before joining AWS, Conor held roles in Ireland and Australia in leading technology, management consulting, and private equity firms. He holds a Degree in Electronic Engineering, and a Masters in Management Science from University College Dublin (UCD). Madhusudan Shekar is the Head of Digital Innovation at Amazon Internet Services Private Limited and has been working on cloud computing technologies from 2008. He engages with organizations of all sizes, from startups and large enterprises to enable them to adopt and be successful with AWS Cloud. 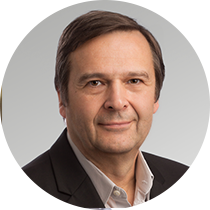 He has over 20 years of experience in developing large scale systems for telecommunications, media, automotive and financial services industries. He loves to talk about building a connected-intelligent enterprise and enabling great customer experiences through smart technologies. Prior to AWS he built the fleet management system TATA Fleetman for automotive OEM TATA Motors and built the third party API gateway for enterprise smart payment systems at Ezetap. 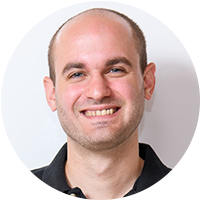 He is an active speaker at several events and runs innovation and devops workshops for large enterprises. Sanjay is the Group Chief Technology Officer at MakeMyTrip Ltd. 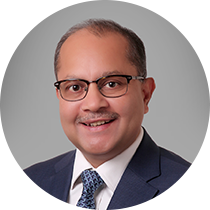 In this role, Sanjay is responsible for developing and executing global technology strategy, and planning ongoing technology innovations for the company’s continued success. 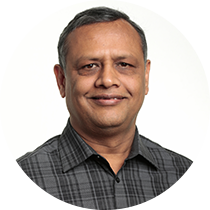 With an overall experience of 25+ years, Sanjay brings along significant expertise in product and platform engineering, including architecture, user experience, site operations, product management and product strategy. His previous stints have been at marquee companies like Yahoo, IBM, Sun, Oracle, and Netscape. Sanjay has Masters in Computer Science from University of Louisiana and completed his Bachelors’ degree in Engineering from the Birla Institute of Technology (Mesra, Ranchi). Arun Gupta is a Principal Technologist at Amazon Web Services. 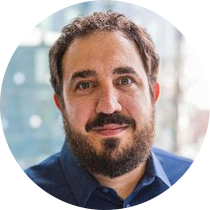 He is responsible for the Cloud Native Computing Foundation (CNCF) strategy within AWS, and participates at CNCF Board and technical meetings actively. He works with different teams at Amazon to help define their open source strategy. He has built and led developer communities for several years. He has extensive speaking experience in 45+ countries on myriad topics. Gupta has also founded the Devoxx4Kids chapter in the US and continues to promote technology education among children. 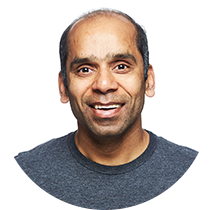 A prolific writer, author of several books, an avid runner, a globe trotter, a Docker Captain, a Java Champion, a JUG leader, he is easily accessible at @arungupta on twitter. Craig Stires is Head of Analytics, Artificial Intelligence, and Big Data for Amazon Web Services, Asia Pacific. His teams help customers build innovation engines on the Cloud and transform their businesses using modern data architectures. He has 20 years in the analytics industry- starting as a software engineer to becoming the head of analytics consulting for SAS in Asia. He then founded a startup in Thailand creating predictive intelligence systems. Later, he launched the APAC Big Data advisory practice for IDC. Today, Craig works with AWS's most exciting customers building AI-driven engagement platforms and intelligent automation systems. Dhruv has been in the IT Industry for over 30 years. He has worked extensively on varied projects in India, UK & USA across multiple industries including Telecommunications, BFSI, Government and Transportation. Some of the projects handled by him include office automation, benefit administration, web trading, self service portals, freight operations information systems and many more. AT&T, Aircel, Uninor, BSNL, BSE, ICICI, HDFC, NSE, SBI Life Insurance and Indian Railways are some of the organisations he has catered to. 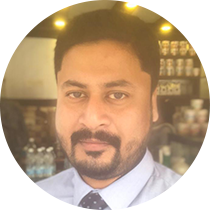 Dhruv is an expert on technology and has written extensively on various technology concepts including self-service provisioning, Enterprise Application Integration and Service Oriented Architecture. Dhruv is currently responsible for Solutions Architecture at Amazon Internet Services, India. Dhruv is a graduate in Electrical Engineering from IIT Delhi and also holds an MBA degree from IIM Calcutta. 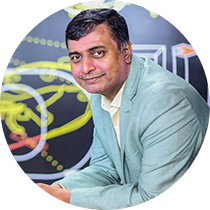 Tarun Kaura is a Partner with the Risk Advisory practice at Deloitte India, with over 20 years of experience in Information Technology and Security domain. 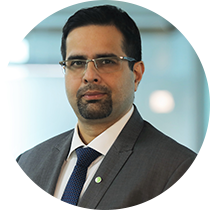 At Deloitte, Tarun primarily focuses on banking and finance sector with additional responsibility to manage strategic alliances and lead platform development. Tarun has expertise in Cyber Security strategy, Enterprise and IT Architecture, Product Management, Infrastructure and Information Security, Data Center computation and consolidation, Cloud Computing and Security, Business Continuity, Security Operations, Advance Threat Protection, Identity and Information protection, Endpoint Detection and Response, Mobile threat protection, Security Compliance and Vulnerability Management, Managed Security services and Cyber Risk Management. Prior to joining Deloitte, he was one of the key members of the Symantec Asia Pacific leadership team. He headed the Cloud and Analytics specialist team, Cyber Security architects, and the regional Product Management team. He has a rich experience in technology, strategy and consulting gathered across his stint at Wipro, IBM and Symantec in various leadership positions. Additionally, Tarun has expressed his views on cybersecurity challenges and opportunities in multiple forums, conferences and media interviews. He has a degree in Bachelors of Engineering and Electronics. Rajeev Narayanan, Chief Strategy & Innovation Officer at Ingenico ePayments India Pvt. Ltd. Currently serving as Chief Strategy & Innovation Officer & Regional CTOO for Ingenico e-Payments India across all its businesses. This encompasses responsibilities across: Business, Technology, Industries & Solutions go-to-market Strategy, Innovation and Transformation, Platform, Product & Solution Engineering, Technology, Strategic Partnerships and Ecosystem Engagement. Rajeev brings more than 20 years of technology, domain expertise, business and technology consulting, sales and management experience to his role at Ingenico. Andrew oversees sales activities and customer relationships in the Asia-Pacific region and Japan. He brings more than 25 years of leadership experience to his role, with much of his career devoted to broadcast, new media and streaming technologies. 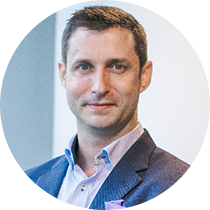 For the past 15 years, Andrew has led sales organizations serving the Asia-Pacific region; most recently, he served as vice president of Grass Valley Asia Pacific, where he oversaw sales and customer support and guided the integration of several corporate brands within the region. Previously, Andrew led the Asia-Pacific region for Harmonic following its acquisition of Omneon, where he served in the same capacity. Prior to that, he directed Asia-Pacific operations for Avid Technology, and previously, he was general manager of the Middle East region for Sony Broadcast and Professional. Before joining Sony, Andrew started his career in the IT industry. Andrew earned his Bachelor of Technology in Managerial Sciences from Bradford University and his Master of Business Administration from Sheffield University. He is based in the AWS Elemental Hong Kong office.